Oooh, I think Pewter needs to be added to my collection! Now I want to try them and I wish the till splitting vouchers had not run out on sunday! I know the feeling – I ran out of things to spend my vouchers on too! I bought these during the same promotion a few months ago, but found I needed to use UDPP to get them to stick (and not crease, bleurgh). Took a chance on the new No.7 Lift and Luminate foundation which I thoroughly recommend, especially for fair skin (as No.7 have finally addressed their orange-foundation-tone tendencies!). 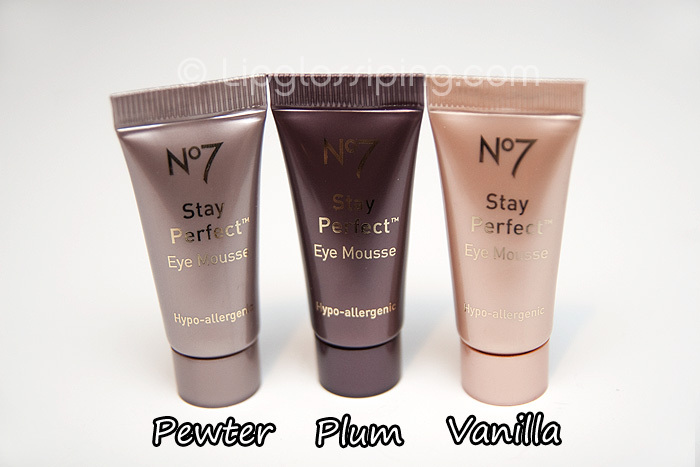 I’ve got swatches, comparing it to other pale foundations on my blog – would really recommend it! Oooh the Pewter shade looks beautiful! Did they crease at all? AHHH! Oh my goodness, those shades are absolutely gorgeous. They look really good! I’m also a sucker for cream eyeshadows, when thay work, they’re awesome! I saw them but left them behind as the last cream shadow I had was way too runny and I looked like an alien with it on..doesn’t help that it was silver. Anyway, I spent my splits on the metallic pencils that I love, two nail polishes (pretty good) but I will use my next ones on these as the consistency seems pretty good. Oh I have the Vanilla one of these, I got it about 5 years ago as part of a xmas pressie, I’m pretty sure it’s the same colour and formulation, although the tube is black. Anyway, i’m not overawed with it to be honest; HOWEVER, the look of that pewter may be enough for me to give them another try! 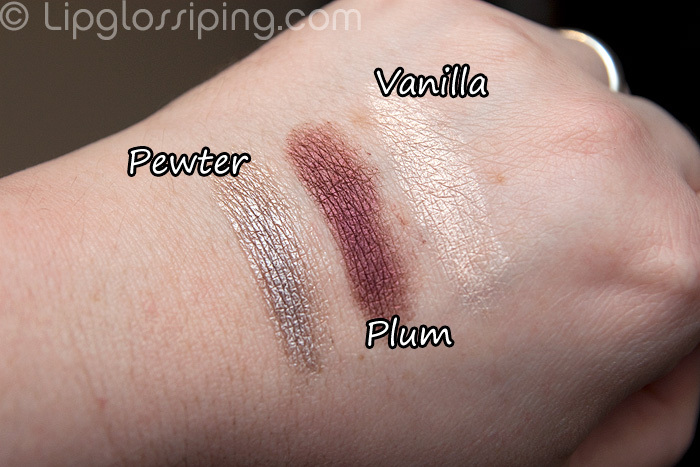 Oh man, these are gorgeous, especially plum!